Only 1% of young Scots want to get into farming. Scotland’s 18-30-year-olds are largely disinterested in working in agriculture, according to new survey data from Barclays. When questioned on their future career choice, only 1% surveyed said they would consider trying to get into farming, a figure which the bank warned could leave the industry facing a talent shortage. The same survey also revealed the number of farmers aged over 65 in Britain has increased by 70% over the past 10 years, while that of under-25s has reduced by 63%. “Every industry needs new talent to innovate and look to new markets,” said Barclays’ head of agriculture, Mark Suthern, adding the next generation will be vital as the sector strives to boost productivity and drive growth forward. Announcing the launch of a Farm The Future campaign to help draw under-30s into the industry, he urged farmers to do more to ensure the smooth transition of farm businesses from one generation to the next, rather than leaving everything to chance. Also part of the new campaign is former JLS boyband star and TV presenter, JB Gill, brought in to help inspire the next generation. “There are a lot of misconceptions about what a career in agriculture really means,” he said. “Although it’s hard, physical work, it keeps you fit and you get to work with animals. “You’re also your own boss and can keep up with the trends by posting everything on social media. However, for the 99% who believe farming isn’t for them, more than half said they didn’t think they would ever be able to afford to become a farmer, while 43% thought they would need to inherit land in order to get started. 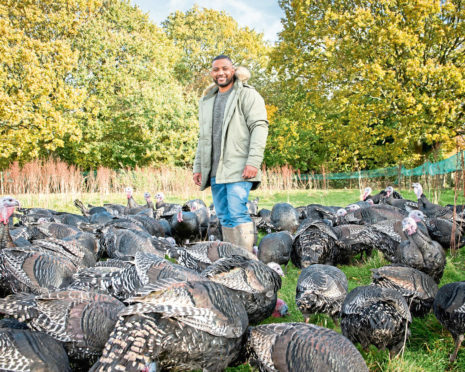 “You don’t need to have your own land to work in agriculture,” said JB Gill.